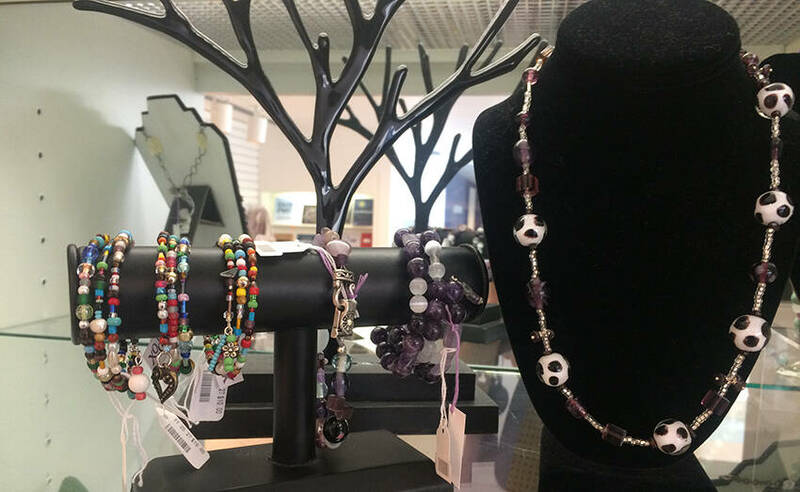 The RMG Shop features creations by local artisans and artists. We’ll be profiling these artists and introducing them to you. For the second instalment, we’re featuring two glass artists. Visit the shop to purchase one of these unique items! Angela Legere casting glass at Sheridan College. Photo courtesy of Angela Legere. 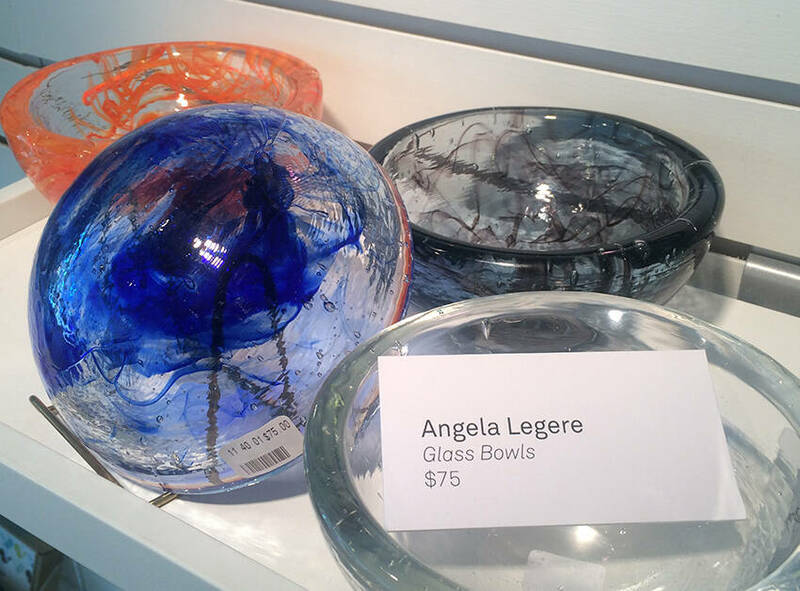 Angela Legere is a glass artist from Oshawa, Ontario. She is currently in her final year of the Craft and Design Program at Sheridan Collage where her major is in glass casting and kiln forming. Angela enjoys making functional objects although her main focus is body casting and working with the female form. Angela is looking forward to embarking on her new career. After three years of exploring glass making in various forms, Angela has found a passion for mold making. 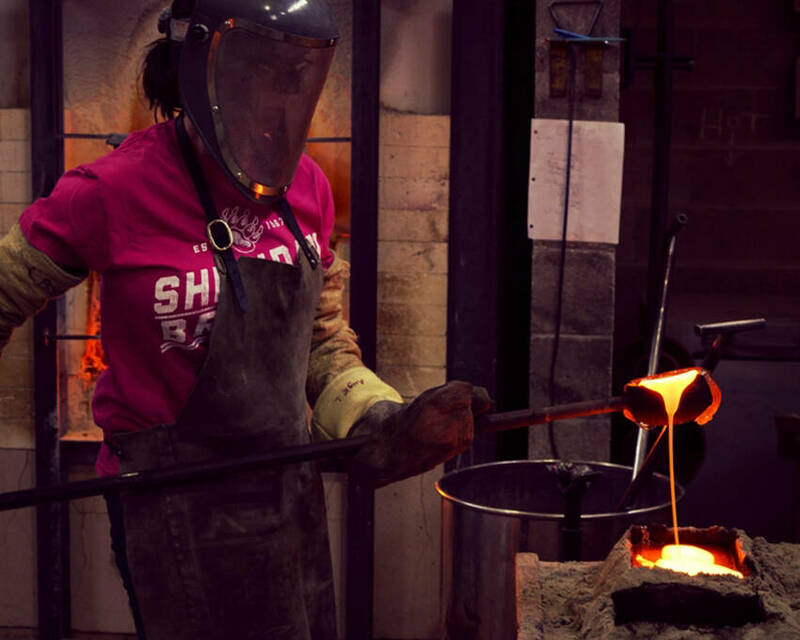 Most of her studio time is spent in the sand casting area or kiln casting room preparing molds and learning about new materials. She enjoys making functional objects although her main focus is body casting and working with the female form. Rhonda Davey’s jewellery in the RMG Shop. Photo by Alex Ross. Rhonda Davey has been a creative artistic person, making handmade items since her youth. She finds it very rewarding seeing a finished item after spending hours coming up with the idea, figuring out what materials to use and then completing the task. When she was young, she worked with her grandfather in his workshop building furniture. She was in grade school when she started to make her own jewellery. In her jewellery design she uses a combination of glass and acrylic beads with semi-precious stones, memory wire, beading wire and chain. She finds inspiration from nature and architecture. Her passion is working with stained glass to design unique panels and sun catchers. She was inspired by stained glass church windows and wanted to learn what goes into making them. She uses the copper foil technique, which involves each piece of glass to be hand cut, the edges are smoothed with a grinder and copper foil is wrapped around each piece. It is then laid out on the paper pattern and soldered together. Whether she is painting or working with glass, all of her pieces have been hand crafted with attention to detail and high quality materials.